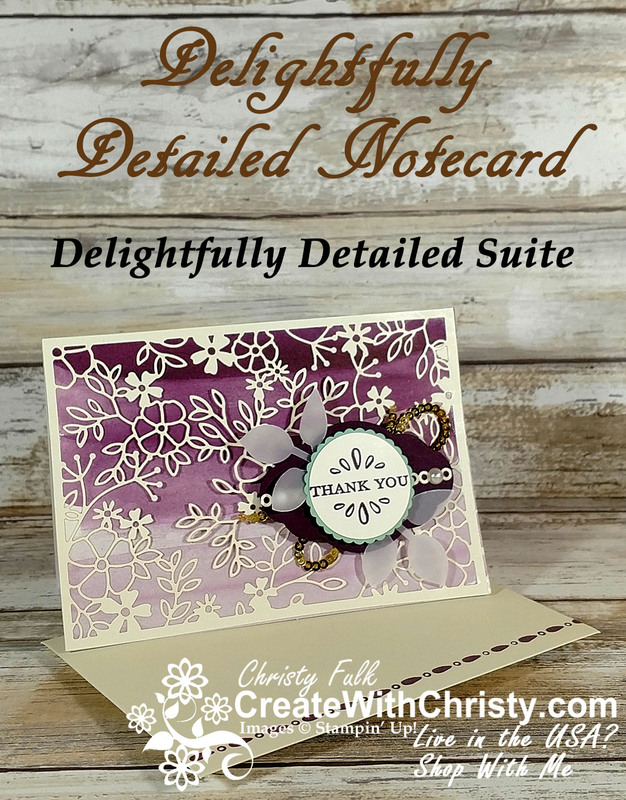 Today, I want to share a card that I made with the brand new Delightfully Detailed Note Cards & Envelopes. The watercolor-wash effect on these note cards is so beautiful, and pairing them with the Delightfully Detailed Laser-Cut Specialty Paper is gorgeous! The six, rectangle designs in the paper fit the front of these note cards perfectly! I also used the Detailed With Love Stamp Set. All of these items are part of the Delightfully Detailed Suite. Gold Mini Sequin Trim: 8"
​Cut out one of the floral card sections in the Delightfully Detailed Laser-Cut Specialty Paper. It's to be cut at 5" x 3-1/2". Fold the Blackberry Bliss note card from the Delightfully Detailed Note Cards & Envelopes in half. Put SNAIL Adhesive around the perimeter of the laser-cut section. Attach it to the card front. Stamp the "Thank You" stamp from the Detailed With Love Stamp Set onto a scrap piece of Very Vanilla Cardstock using the Blackberry Bliss Classic Stampin' Pad. Punch the image out with the 1-1/4" Circle Punch. Punch a scallop circle out of a scrap piece of Mint Macaron Cardstock using the 1-3/8" Scallop Circle Punch. Attach the greeting circle to the center of the scallop circle. 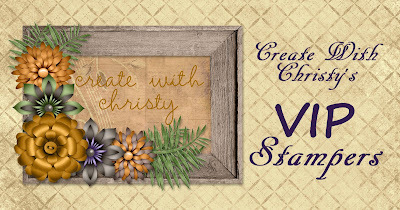 Punch a label out of a scrap piece of Blackberry Bliss Cardstock using the Pretty Label Punch. Punch two sets of leaves out of the Vellum Cardstock using the Leaf Punch. 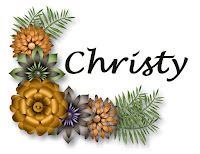 Attach the 2-1/2" Laser-Cut Paper strip across the center of the label. 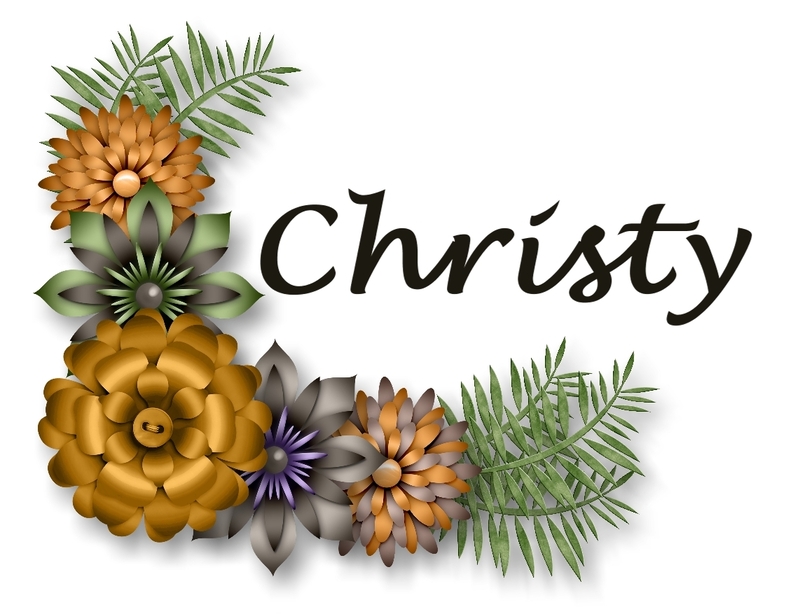 Put adhesive onto the center of the label, and attach the vellum leaves to the top, left corner and the bottom, right corner. 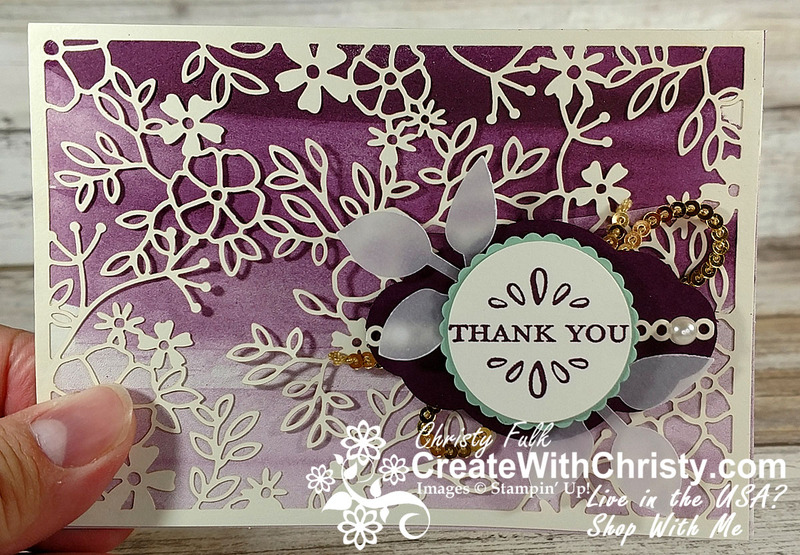 Attach the "Thank You" scallop circle to the center of the label using Stampin' Dimensionals. Attach a large pearl from the Pearl Basic Jewels onto each end of the laser-cut strip. Put adhesive all of the center section of the label (back side). While folding the Gold Mini Sequin Trim, attach it to the back of the label, making sure there is a loop and a trim end on the top, right corner and the bottom, left corner. 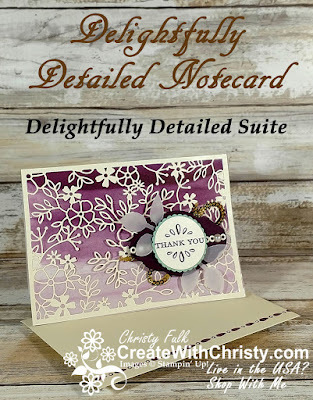 Attach the whole thing to the bottom, right corner of the note card using Stampin' Dimensionals. Note: I stamped one of the border stamps across the bottom of the envelope using the Blackberry Bliss ink pad. If you have trouble opening the tutorial, you may need to update your pdf reader. Click the Picture To Get All of the Details!